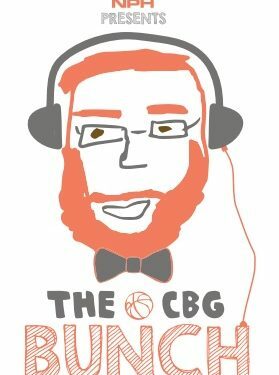 Welcome to the off-season of The CBG Bunch, a specialized column dedicated to the CIS season. When there are no games played, we talk about something else. There might be hope for other CIS teams after all. Oh sure, it’s the preseason, which means that by definition every single team in the country has a mathematical chance of achieving glory—and it’s cliché because it’s true. But that’s not what I mean. This year, other teams might have a chance, because a trio of powerhouse teams from Ontario will start the season under a cloud of relative uncertainty. Head coach Dave Smart left his position at Carleton for a sabbatical year and paved the way for his nephew to take over, and two fellow coaches have done the same. Indeed, Roy Rana and Chris Oliver, respectively at Ryerson and Windsor, will step away from the CIS this upcoming season. We’ve discussed the case of Smart and the Ravens once, but one thing needs to be re-emphasized: as much as Carleton will miss brothers Philip and Thomas Scrubb, and it undoubtedly will, Dave Smart is the most important member of the program. He’s the one who had led the school to so many wins before the Scrubbs showed up, with a system based on three-point proficiency and an anchor in the middle of the paint, and he’s the one who would presumably win again now that the Scrubbs have graduated. That presumed winning will have to wait for a year now—but probably not for Carleton because machines don’t break down. In light of Smart’s decision, we can wonder if perhaps both Oliver and Rana might not want to reconsider their decision; you know, why not tough it out just one extra year and see if you can’t do what you couldn’t quite accomplish while Smart was in his Ravens’ Nest? Except that the Windsor Lancers never really had that problem. The team has long been a thorn on the Ravens’ side, to the extent that such a thing even exists: Windsor is a very respectable 2-3 in its five previous games against Carleton. Carleton will be fine, but will Windsor be? In head coach Chris Oliver, the Lancers lose a pillar and a sort of less heralded version of Dave Smart: in his nine seasons at the university, Windsor has won six OUA West regular season titles, two playoff division titles, a Wilson Cup and thrice made the CIS National Championship. Oliver will apparently be looking to expand on “his coaching and education portfolio,” traveling and participating in basketball camps and academies, coaching clinics, and the likes. If you can’t question whether Oliver’s heart is still in basketball, maybe you can question his timing then? Why step away now, in a year when the champions will be presumably weakened and the road to the Nationals could perhaps not have to go through Carleton? But maybe there’s no real timing for a sabbatical. Rana has always been more than just a head coach at Ryerson. When he was hired six years ago, he expressly stated that he wanted to give the school, and the city, “the chance to play for an OUA championship and a trip to nationals.” If this sounded like lofty expectations, the school quickly saw that the man had a method to his dream, as he brought in point guard Jahmal Jones and forwards Jordon Gauthier and Bjorn Michaelsen in his inaugural recruiting class. Rana would anchor his success and his program around the trio and this past season, he very, very nearly brought Toronto that coveted national championship. Knowing what we know now, we have to admit that if the bronze medal the Rams won last season felt like a crowning achievement, it’s because it really was. It proved that he had managed to build a basketball culture in downtown Toronto. This upcoming season, it will be up to Patrick Tatham, Rana’s lead assistant, to prove that Rana has created a notable coaching culture at Ryerson, too. Carleton Ravens Win Eighth CIS National Championship In a Decade, MVP Phillip Scrubb Leads The Flock!